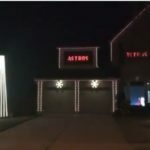 Game Recognizes Game: No Fuss Lights Gives Props To Astros-Themed Christmas Light DisplayFour Weeks ‘Til Christmas! Time to Call No Fuss LightsNo Fuss Lights Wishes You a Happy Thanksgiving!No Fuss Lights Also Handles Wreaths, Garlands, and Lawn Displays (Oh, My! )What Does the Fox (TV Affiliate) Say About No Fuss Lights? We also want to remind you that time is running out to have No Fuss Lights design and install your Christmas light display. Though we can’t offer something like what you see in the video, we can help your home become the envy of the neighborhood! Guess what, Houston? Thanksgiving has come and gone, and the Christmas season is officially upon us. In fact, today is the “four weeks to go” mark before December 25 arrives. Plenty of people love to procrastinate when it comes to Christmas, but with trees going up and holiday music playing everywhere, there’s no denying that the yuletide clock is ticking. That means if you haven’t begun looking for gifts, planning holiday trips, or finalizing your Christmas card list, then you’d better get started pronto! Yes, that means putting up Christmas lights and decorations around your home or business. But here’s a little good news: No Fuss Lights can take care of all that for you – if you call us right away! After all, No Fuss Lights is more than halfway through our light installation season, and our appointment book is getting close to capacity. But we still have a few slots left for people who have put off calling us. We’ll come to your home and give you a free estimate, and we’ll set up an installation date. 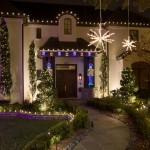 Then we’ll come back and decorate your home, yard, and property with durable, festive LED lights. And once Christmas 2017 is in your rearview mirror, we’ll return and take everything down for you. But partnering with No Fuss Lights isn’t like Christmas shopping – you can’t put it off until a day or two before Christmas Day. So give us a call right now at 281-809-7021 to get on our calendar. Then you can cross “hanging Christmas lights” off your holiday to-do list and have more time to tend to those (last-minute?) Christmastime tasks! We’ll even decorate your palm tree if you want! 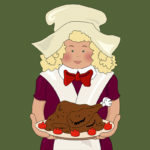 No Fuss Lights wants to take this opportunity to wish you and yours a happy and memorable Thanksgiving holiday weekend. With all of the turmoil caused by Hurricane Harvey this year, many Houston-area families will pause to count their blessings and enjoy their time with family and friends. If your Thanksgiving Day celebration was anything like ours, it primarily revolved around food, family, and football. It was also the biggest diet “cheat day” of the year as people filled their plates with as much turkey, cranberry sauce, mashed potatoes, pumpkin pie, and other goodies as their stomach could handle. (And then went back for seconds!) Once the meal was over, everyone sprawled in front of the television to watch football and enjoy the tryptophan-induced haze together with their loved ones. As you relax during your long weekend, we propose that you spare a thought for Christmas lights. Seriously? you ask. At this moment, I don’t have the inner strength to think about all the untangling, testing, and hanging that comes with putting up Christmas lights on my home. This year, why don’t you let No Fuss Lights take care of all that for you? We’ll decorate your home with beautiful, durable LED Christmas lights. And once the holidays are over, we’ll even come back and take them all down and haul them away. You won’t even have to think about stepping on a ladder at all. 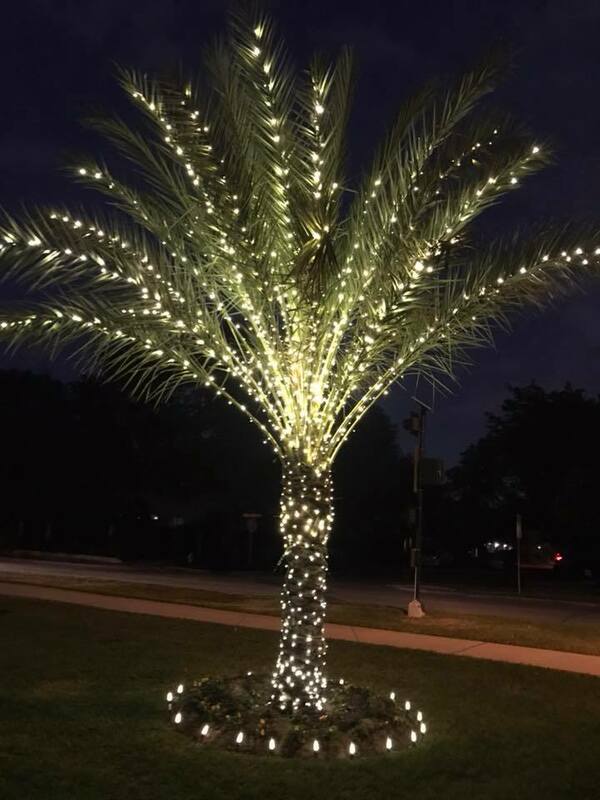 Just call No Fuss Lights at 281-809-7021 for a free estimate. We’ll take this task “off your plate” this year so you can spend more time enjoying the holidays with your family and friends. After all the hard work and stress you’ve endured so far this year, you’ve earned it! When it comes to Christmas decorations, No Fuss Lights is definitely best known for our eye-catching holiday light displays. After all, it’s part of our name. But it’s important to know that we’re more than just twinkling lights. No Fuss Lights can provide several other kinds of yuletide accouterments for your home or business. Need a unique lawn display that lights up along with your Christmas lights? No Fuss Lights can do that. Looking for some festive garlands that can adorn your outdoor balcony, property fence, or interior staircases? No Fuss Lights can take care of that as well. Want a beautiful wreath to be hung on your door, in all of your windows, or in a spot high off the ground that’s difficult to reach? Not a problem for No Fuss Lights. Would you like some holiday accents placed throughout your property, such as a red bow on your gate, red ribbon wrapping your lamppost, or ornaments dangling from your trees? That’s right – No Fuss Lights is the company to call. Our experienced designers will work with you to create a holiday display that’s perfect for your home, business, or neighborhood. We’ll install and hang every part of your display, make sure that it’s powered correctly so that no circuits are overloaded, and then return after the holidays to remove it all and haul it away. In short, we can give you the dazzling, breathtaking holiday display that you’re looking for – without the fuss! Call No Fuss Lights today at 281-809-7021 to get your free quote. But hurry! Christmas is only 35 days away! 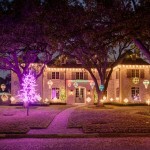 No Fuss Lights has earned a reputation for providing high-quality service and superior holiday display designs in the Houston area – and the local media are starting to take notice. 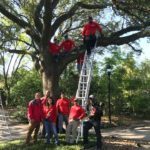 Earlier this week, KRIV-TV FOX 26 visited our crew while we were decorating a home. Reporter Rashi Vats spoke with No Fuss Lights owner John Emanuel about decorating for Christmas in November. 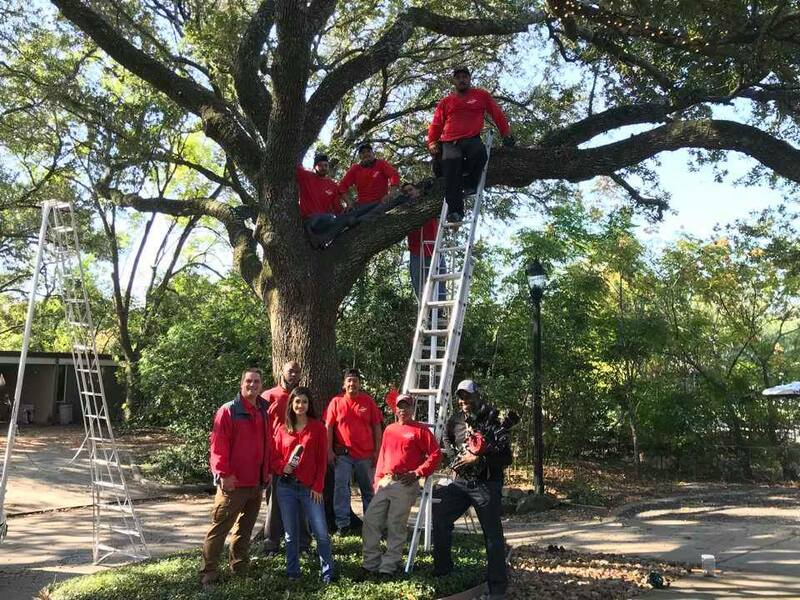 The FOX 26 cameraperson also recorded some excellent shots of our technicians hard at work, and viewers were treated to images of some of No Fuss Lights’ finished projects. The segment aired during FOX 26’s morning news coverage on Tuesday. We’d like to thank the folks at FOX 26 for stopping by and chatting with us. 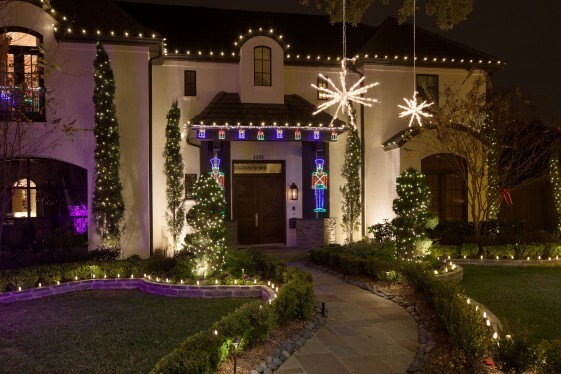 And as for whether it’s too early to decorate for Christmas, No Fuss Lights can tell you firsthand that many Houston-area homeowners, businesses, and communities are already letting us install beautiful LED lights on their property. Here’s the good news: we still have a few spots left on our schedule between now and Christmas. We’ll come out to your home or business, decorate it to your liking, fix any problem which may arise between now and the New Year, and then return to take down everything and haul it away – so you can have a “No Fuss” holiday season! But don’t put it off! Call us today at 281-809-7021 for a free estimate. P.S. 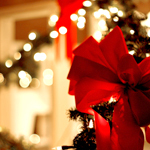 – If you’re interested in working for No Fuss Lights this holiday season, give us a call. We’re looking for a few good people to help us spread the holiday cheer!